I love handmade Christmas gifts. They are my absolute favorite kind of gifts to get and receive. Have you taken the 5 love languages quiz? My love language (and my husbands) is quality time. I think that’s why I love handmade Christmas gifts. I know someone had to spend their time in order to create it for me. And that’s why I love giving them too. It’s like giving someone a little piece of your heart. And when you can’t spend time with them, I think handmade Christmas gifts is the next best thing! I’m doing 5 days of handmade gifts. Be sure to check out all the posts! These gifts are perfect for everyone on your list! 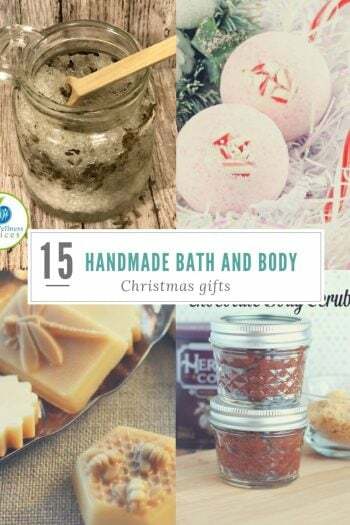 Super easy to make and everyone loves bath and body products! 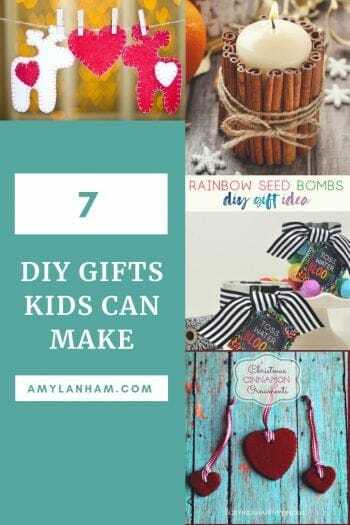 Start the love of crafts and DIY early with these DIY Gifts Kids Can Make! 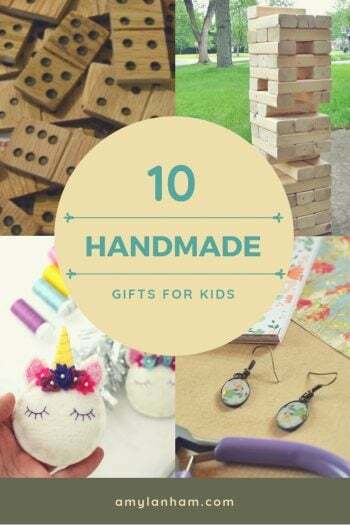 Everyone on your list is sure to love homemade Christmas gifts from your little ones! I love giving gifts to my neighbors. 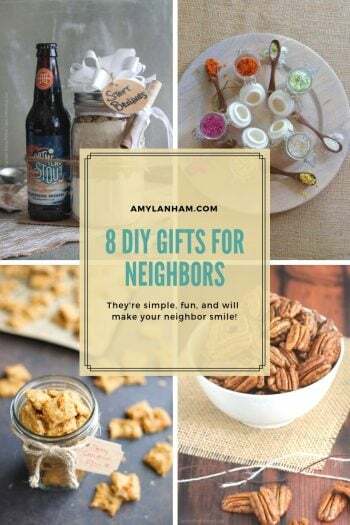 We help each other out throughout the year and it’s always nice to give a gift that just says thanks for being a nice neighbor and not caring when my kid asks you a million questions! Couples can be so hard to shop for! 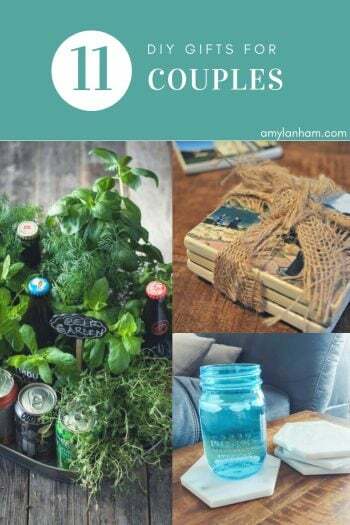 Definitely check out this post for the best DIY gifts for couples. I love these gifts for kids. They are so cute and sure to make any kid on your list happy! How can i put a picture on my post? I make some really cute snowman pin’s and would love to share the idea with other crafters. Also Angels from paper doily’s and even cute things with toilet rolls..
I’m unsure how you can put a picture. But those sound super cute! If you have a website where we can see the crafts feel free to leave a link!